›Wild Republic Dragon Plush Toy, Stuffed Animal, Plush Toy, Sour Apple L'Il Sweet Sassy 5"
Wild Republic Dragon Plush Toy, Stuffed Animal, Plush Toy, Sour Apple L'Il Sweet Sassy 5"
Even though dragons are make-believe, or are they? they are widely popular and have been used in many stories, myths, and movies over the years. Dragons are dinosaur-like in structure, however; they can fly high in the sky and can shoot fire out of their mouths. These stuffed animals are perfect toddler toys, baby toys, and kids toys to accompany your loved ones as they use their magnificent minds to write fiction stories or draw some pictures with. 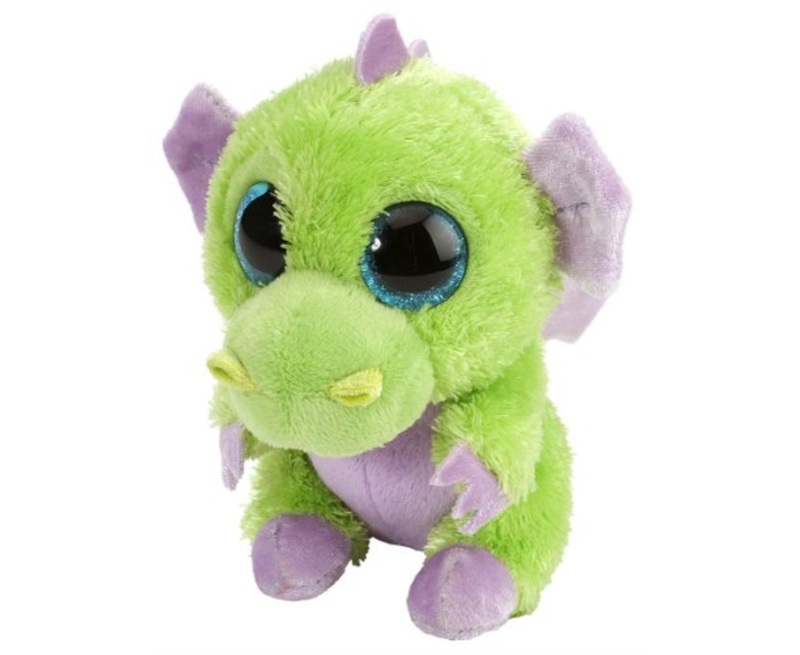 Whether you are searching for a gift for teens, Christmas gifts, or a birthday gift for kids, this stuffed animal Lilâ€™ Dragon will be the plushie they cherish. Collect as many or all 32 different Lilâ€™ sweet & sassy animals today. Wild Republic has been developing plush animals and educational toys for kids of all ages since 1979, with unique specialization in lifelike stuffed animals.